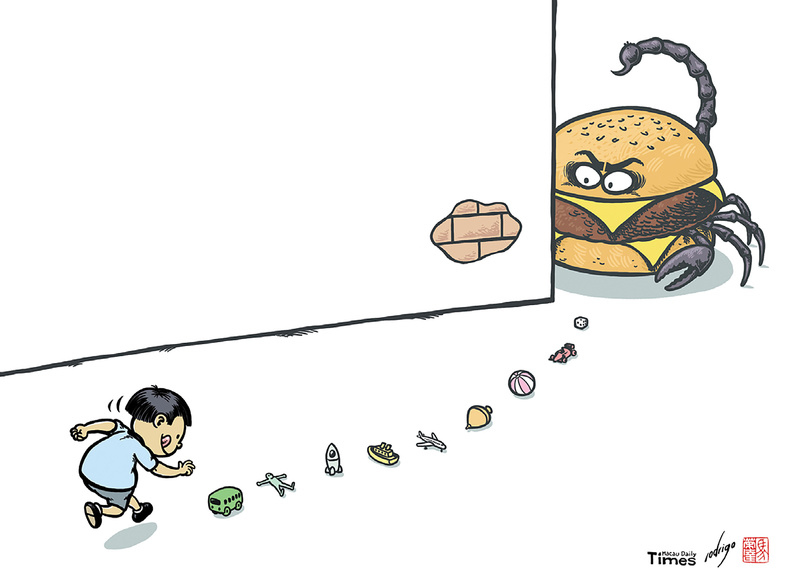 This formed part of a Cartoon Movement collection on fast food. Rodrigo de Matos is a Portuguese cartoonist who lives in Macau, China. He has been contributing editorial cartoons for Expresso, one of Portugal’s main newspapers, since 2006. He also contributes regular cartoons for Macau’s daily newspaper Ponto Final.